Want to recover iPhone 5s reminder? You enjoy using iPhone Reminder to make a daily schedule, and have the alarm to inform you of important call, appointment, etc. Besides it is extremely convenient to record to-dos with iPhone reminder. However, what would you do when you find that the entire reminder data on iPhone are gone? Do you have a way to retrieve reminders from iPhone? If you lost reminders on iPhone and want to recover reminders from iPhone, you need a professional software tool to help you. The user-friendly Tenorshare iPhone Data Recovery could help you achieve this. 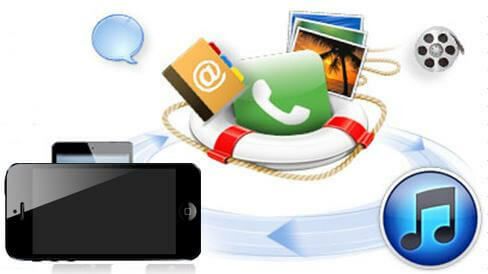 To recover reminders from iPhone on Mac you could use iPhone Data Recovery for Mac. 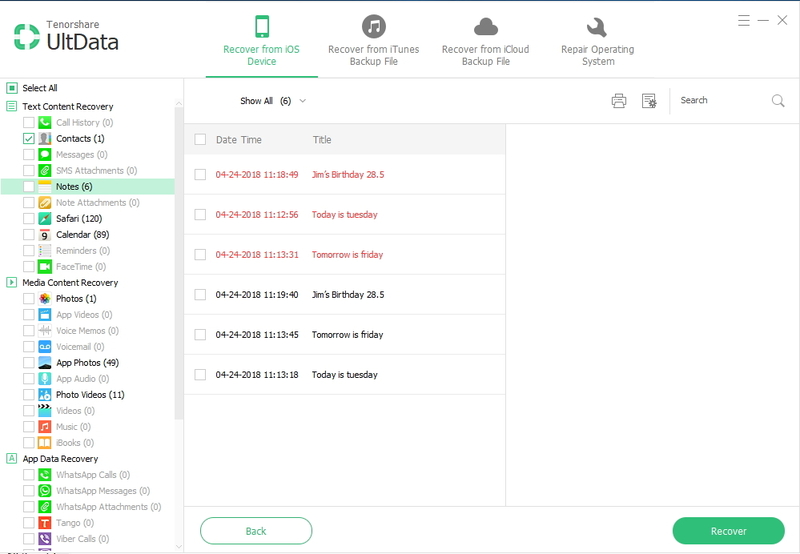 Both are designed to recover reminders, contacts, photos and other iPhone contents directly from iPhone itself without backup and recover lost reminders from iPhone by extracting iPhone backup. To help you better understand how to recover reminders on iPhone, we have tutorials for you that explains the 3 recovery modes separately. First of all, connect our iPhone to the computer and launch the program. "Recover Data from iOS Devices"is the default mode. Click "Start Scan". Now you can preview before recover reminders from iPhone. Click "Recover" button to recover reminders from iPhone 5 to your PC. 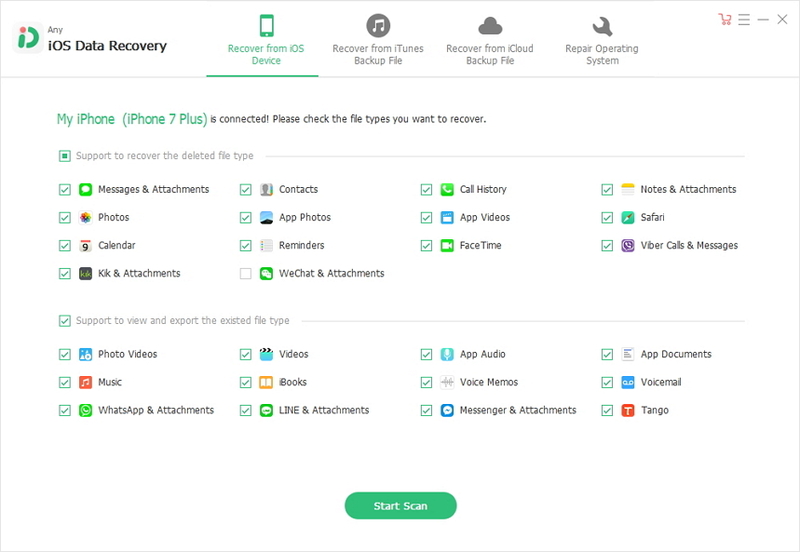 iPhone Data Recovery enables you could extract iPhone reminders from iTunes backup to your computer by using "Recover Data from iTunes Backup File" mode, as well as undelete remindes from iCloud backup with the mode "Recover Data from iCloud Backup File". Use it to recover reminders on iPhone from backup when you have a recent iPhone backup. Step 1. Launch program and set recovery mode to "Recover Data from iTunes Backup Files". Step 2. Select and scan iPhone backup. Step 3. Preview and recover iPhone Reminders from backup. Or you can sign into iCloud account in iPhone Data Recovery and recover reminders from iCloud backup file. No data loss and damage. You must have known clearly how to restore reminders from iPhone for the moment, and how easy it is to recover iPhone reminders after iOS 7 update or after jailbreak. I think it is a good idea to transfer your iPhone to your computer for offline backup, so that you could still recover data from iTunes backup once losing important data from iPhone. How to Quit and Restart Reminders App on iPhone? If you do not need the Reminder and want to quit this app on iPhone, what should you do? It's quite easy. Follow the steps below to learn how to quit and restart the Reminders app on your iPhone. 2. Double-press the Home button to open the multitasking menu. 3. Tap and hold the Reminders icon until it jiggles. 4. Tap the red circle in the upper-left corner to remove the app from the list. 5. Press the Home button to get back to your Home screen. Wait a minute before reopening the Calendar app.